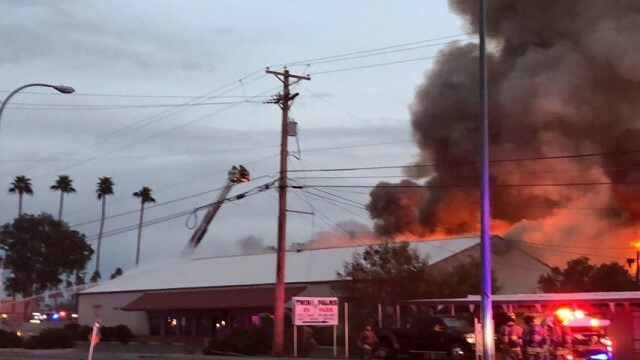 MESA, AZ — Firefighters say flames damaged three buildings in a massive fire Wednesday evening. 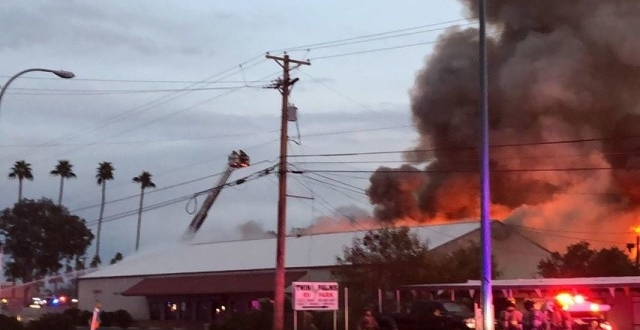 The three-alarm fire, which ignited at Mesa Sales near Gilbert Road and Main Street, ignited just before 6 p.m.
UPDATE: Mesa firefighters say the fire started at a commercial warehouse and may have spread to a second building. The business is a show room, containing carpet, linoleum and other flammable materials, firefighters said. Heavy fire had already started to spread as crews arrived on scene. Further details, such as how the fire started or the extent of any injuries, were not immediately available.